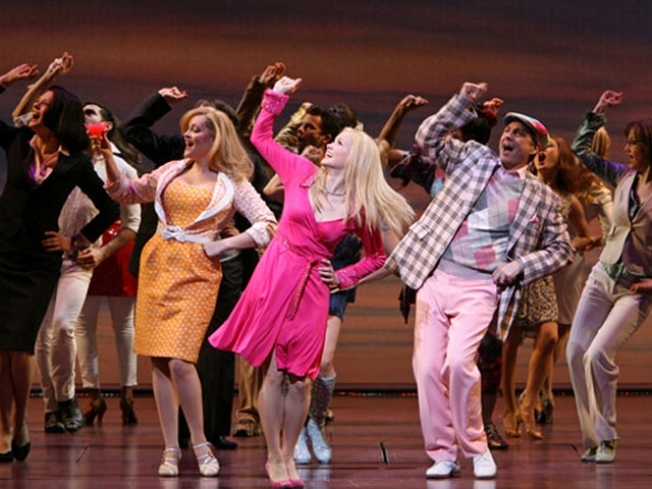 BEND AND SNAP: Oh my gosh, Elle is like, totally in town for her movie-based hit broadway show, "Legally Blonde." You know what this means, girls? SHOPPING! Just kidding, but the show has received rave reviews, and is totally worth seeing. Having our IQ drop a few points has never been this much fun, but I'm sure we'll be okay if we brush up on our "bend and snap" skills. Au-Rene Theater, 8 P.M.
WHAT SHE'S HAVING: The '80s were such a magical time: A time when Molly Ringwald, John Hughes, and Aqua Net ruled the world, Meg Ryan was hot, and the best movies were made and described by most as "your life on film." "When Harry Met Sally" will be playing tonight at the Spa at Icon Brickell for the admission price of $12, which includes gourmet popcorn and a cupcake to be enjoyed in the comfiest couches you will ever find. 7:30 P.M. SNAPSHOT OF LIFE: Nobody has captured life in art better than James Rosenquist. His work has inspired people throughout the ages, and nobody has fought harder for artists' rights. Join this amazing, legendary artist for a book signing and reception. RSVP by e-mailing Ian@thewolf.fiu.edu or call 305-535-2631. The Wolfsonian-FIU, 7 P.M.